Marinate the cubed chicken breasts in the green curry sauce. Meanwhile toss the eggplant strips with olive oil and sprinkle with salt and bake at 170°C until soft and slightly caramelized (takes about 15-20mins). Next, bake the chicken pieces until cooked through for about 15mins. To assemble take a cube of chicken and wrap with a slice of eggplant. 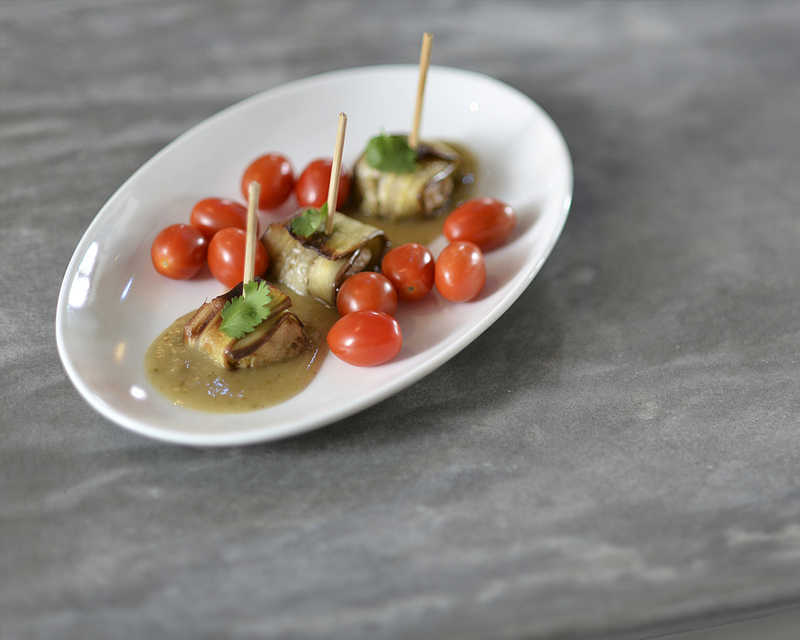 Secure with a toothpick and serve with additional WORLDFOODS Thai Green Curry Sauce for dipping.